MARC USA is a privately owned US advertising and marketing communications agency with a mixed portfolio of local and smaller national clients. Headquartered in Pittsburgh (where it is the city's biggest agency), there are also offices in Chicago, Miami and Boston. The business was founded in 1955 by Lou Cardemone and Jack Goldsmith as Marketing Advertising & Research Consultants, primarily to handle clients from the retail industry. In the mid-1960s, it helped to launch the "Big Mac", which had been devised by McDonald's local franchisee in Pittsburgh. Tony Bucci was appointed as CEO and kicked off an ambitious expansion program, opening up a string of additional offices (though several of these closed in the 2000s). He remains chairman with Michele Fabrizi as CEO. The group was acquired in 2015 by Eastport Holdings, a Memphis-based private equity company with several other advertising and media interests, and subsequently absorbed digital agency Results Digital, which Eastport already owned. Marca Hispanic is the agency's multicultiral unit based in the Miami office. Advertising Age estimated US revenues of $41m in 2017. Adbrands does not currently offer a business profile for this company but subscribers may access account assignments and contact information. The searchable account assignments database is available to full subscribers to Adbrands.net premium services. 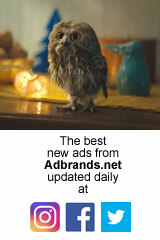 Click here to access Adbrands account assignments (subscribers only); or see here for information on how to subscribe.